The decision to sell your restaurant isn’t likely to happen on a whim. It takes careful planning, as well as time to get your affairs in order. Every restaurant owner thinks about selling at one time or another. But even if your restaurant is a red hot success and buyers are lined up at the door, figuring out how to sell a restaurant isn’t as simple as selling a home or a car. It often takes several months to make a sale, and it can pay to start preparing a full year in advance. Understanding how to sell a restaurant is about more than just having your paperwork in order and upgrading a few appliances. It takes marketing savvy, knowledge of your business and sometimes even professional help to get your restaurant in shape to sell and fetch a price that will make you happy. Should I Sell My Restaurant? Many restaurant owners get into the business thinking they’ll hold onto their restaurant until they retire at a ripe old age. The rarity of this happening is one of the main reasons why beloved establishments get lauded when they finally decide to throw in the towel. Many obstacles stand in the way of a good restaurant staying that way forever. Illness can affect the productivity of the owner, especially in later years. Burnout occurs from all those 16-hour days some restaurant owners put in. 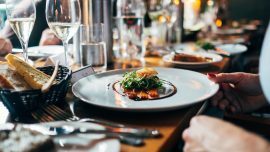 Economic conditions can change like the weather; eating out is seen as a luxury and is often first on the cutting block when families feel the need to tighten their budgets. Deciding to sell isn’t always because something went wrong with the business. Partnership disputes can arise from big life changes in friendships and relationships. Sometimes owners get bored once they’ve successfully launched a restaurant and want to see if they can do it again. A restaurant that makes money might get sold to provide capital for an even bigger restaurant or other business venture. Selling your restaurant doesn’t mean you’re out of the business; it just means you’re changing things up and/or taking your life in a new direction. If you’ve made the decision to sell, or are at least strongly considering it, you’ll probably have your work cut out for you. If you can swing it, plan to start preparing a year in advance – that way you can have your financials in good order, make any improvements you need to make and plan for steady or even increased sales to make your restaurant even more appealing for buyers. You may not want or need to provide prospective buyers with copies of all of these items, however it’s likely that you’ll need all of them eventually as part of the sale. And there’s an added reason for gathering and updating these documents: you’ve been working hard inside your business for so many years, which means you are probably only seeing it from your insider’s perspective. Having these documents up-to-date and readily available will give you a comprehensive, accurate picture of what exactly you are selling, and allow you to see it from a buyer’s perspective. It also helps you to see where the gaps are that you’ll need to address. Are all of your licenses up to date and compliant? Do your health inspection records reflect what you want a buyer to see? Do your finances appear to be in order? The financials are always a critical piece of selling any business. After all, we’re in business – at least in part – to make some money! If possible, plan to share a year’s worth of financial records with prospective buyers, making these documents as accurate and orderly as possible. Financials can include your inventory of equipment and other assets such as furniture, profit and loss statements, cash transactions, tax documents and bank statements. Properly presented finances can have a huge impact on a sale, which is another reason to start preparing this piece well in advance. As a seller, it’s your responsibility to disclose any liabilities as well, like debts, back taxes, looming repair costs, and so on. Failure to own up to liabilities can land you in court if the buyers find a surprise they don’t like after signing on the dotted line. If you’ve been using paper, even a neatly kept ledger, consider switching to accounting software or a computerized spreadsheet at the very least. In today’s electronic age, most buyers will expect to see financials in a digital format. Be impeccable with your records and present any financial documentation in a timely manner – this sends the best message to prospective buyers. Courtesy of Nick Youngson – CC BY-SA 3.0. Is your restaurant location under a lease agreement? It’s critical that you understand the terms of that agreement before you begin the selling process. If you are under a false assumption about the particulars, your landlord may be able to stop a sale. This is the time to involve a lawyer who can help you understand the all of the clauses and terms so you can be certain of your legal rights when selling. One best-case scenario is to talk to your landlord about your plans to sell, and ask them about extending the lease. A lease that is already in place, especially one that is locked in at a competitive rate, can provide security for a prospective buyer. It may bring your landlord some peace of mind too. Once you’ve surmounted the paperwork obstacle, it’s time to start figuring out how to market your restaurant. You might already know the biggest selling points of your business, or this might be another opportunity to take a fresh look from an outside perspective. Here are some questions to get you going. What does your location have to offer? Is your restaurant close to public transportation? Is your restaurant close to bike path? Is there new development in your area? Is your business in an area that’s short on commercial space but with a lot of residential density? What are your restaurant’s unique features? Unless you are selling a franchise, your business is probably unique in several ways. If you don’t already know which of your unique features are contributing to your revenue, find out and use them to your advantage. Does your restaurant currently have, or have the potential to add any of the following? An outdoor or semi-outdoor patio. The potential to be venue for events like weddings or anniversary parties. A database of customers including email addresses. You can use online booking software to (legally) collect this information and make sure it is safely stored. Can you capitalize on scarcity? Sometimes it’s not just what you do have, but what your competitors can’t easily get that will work to your advantage in a sale. If you’re in an area with high restaurant density and few commercial spaces available, it may be a lot easier for someone to piggyback on what you’ve already created rather than start fresh. Have zoning laws or other regulations changed since your restaurant went in that would prevent new businesses from starting up, or at least make it difficult to do so? What is the lifestyle a potential buyer would receive? Do you have a competent person or management company who is running the day-to-day operations? If so, will they stay on through the transition? If not, do you have policies and procedures in place that someone new can easily step into? Is your restaurant the perfect opportunity for an ambitious new chef to take on? Have you been running your restaurant as a “family-owned” establishment? Would your restaurant be a great “mom and pop” breakfast cafe? How easy might it be to transition between these two structures? How Do I Appraise My Restaurant? Once you have an idea of your marketing strategy, you can begin to set a price. Setting a proper price for your restaurant can be tricky; too high and you might be waiting years to sell, too low and you might be giving buyers the impression that something is wrong. Not to mention you’ll be losing out on money from the sale! Deciding on the value of your restaurant means assessing all things of value, from the easiest to the most difficult. Physical assets are the easy part; you can put a fair market price tag on your equipment (and the building and the land, if you own it), and so on. Financials are next. Potential buyers will want to know if you’re making money and will want to see those bank statements and tax returns to backup your claims. After that, things get more intangible. How well-respected is your brand? Are you feuding with any neighbors? How much will it cost to change the name on the place? Understanding your financial picture will help set the price, as well as knowing the current market conditions. Do your research to find out what comparable restaurants are selling for. Consider hiring a professional broker. You might have the experience necessary to pull of the sale of your restaurant without outside help. However, there are many advantages to brokers, especially those that deal exclusively in the sale of restaurants. These brokers will know where to look for quality buyers, and will have the best understanding of the marketplace – which means your best chance for big bidding. Another advantage not to be overlooked is that a broker can ensure that your sale preparations are kept discreet. You don’t want your employees to find out that your restaurant is for sale before any plans are set in stone, because it’s likely that they will start looking for work elsewhere. Keep your employees in the know when the time is right – and don’t drop the news on them at the last minute, especially if their jobs are in play. Once you sell your restaurant, there may be employees that want to continue on with the new owners. Keeping employees during the transition can make for an easier changeover since they already know how the business works and also likely have forged ongoing relationships with your regular customers and vendors. You also don’t want your patrons to discover your plans too early – the public rarely sees a restaurant for sale in a positive light and that can do some damage to your brand. Local brokers can put your restaurant online too, but you should be careful about the impression this can cause in your community. Sticking with quiet inquiries and food-service-facing websites, especially in the early stages, are your best bet if you’re just considering selling. Should I Update My Restaurant and Equipment First? Even if you weren’t in the market to sell, the answer to this question should be yes. The better the condition a restaurant is in when it goes on the market, the higher the price it will fetch. Now is the time to focus on presentation – and we’re not talking about the plates of food coming out of your kitchen. Put yourself in the shoes of a prospective buyer and try to walk through your front door with fresh eyes. What first impressions does your restaurant give? How clean is the dining area? How well-lit and inviting is the space? How clean do you and your staff keep your kitchen? Does your equipment look like it is about to fail? Do your bathrooms look and smell clean? Do you have a website and is it up-to-date? Do you have a social media presence? Even something simple as pledging to go green can increase the value of a property in a potential buyer’s eyes. The likelihood of being able to upgrade your equipment might be a function of your financial situation when you decide to sell, but updating equipment doesn’t have to put you in the hole. If you dedicate a certain part of your finances to upgrading and replacing equipment, the money will be there. When you set up your budget, rotate your equipment upgrades. You don’t have to update everything at once. Don’t be afraid to shop around a bit, too. 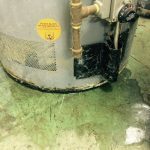 Consider leasing commercial equipment that requires large capital expenditures, like renting a commercial water heater. Oftentimes, the new owner can pick up the lease where you left off, saving your buyer money, long-term. Remember that restaurant sales take time, so chances are the business will be open while it’s on the market. Better equipment will keep income rolling in while the perfect buyer discovers your business. If you’ve ever sold a house, you already understand that presentation is everything. Polish it up and make the necessary improvements and repairs. And don’t forget about curb appeal! Clean up your sidewalk, polish windows and doors, and make sure your exterior is free of debris or trash. Lastly, it might sound like common sense, but if you are going to use photos as part of your marketing efforts, take those pictures after the restaurant has had a thorough cleaning! Who Wants To Buy A Restaurant? Restaurant sales often start like many business transactions; through word of mouth. Letting your friends in the business know you’re looking to sell will let them know to send anyone that’s looking to buy your way. Your accountant or lawyer might also have some ideas of interested persons, such as other clients of theirs or people looking to get into the business. If you belong to a trade group or business association, talking to other members is a good way to find buyers. There are plenty of people looking to buy a restaurant; the hard part is finding one that wants to buy your restaurant. Beyond the traditional methods and word-of-mouth networks, the Internet is full of places where you can seek interest in your business. Websites like RestMart can help you find buyers all across the country. Don’t put your restaurant on the market and then forget about it. You need to keep pushing your sales up and improving performance in all areas. Your operation will look much more impressive if you keep making sales and keep costs down through the selling process. And even if you’ve hired a broker, don’t assume they are working as hard as you are to make this deal happen. Keep in contact with them as much as possible to ensure they are keeping your restaurant at the top of their to-do list. If you get an offer that’s too low, rather than dismiss it immediately, see if you can work with that prospective buyer. Nurture the relationship and find ways to show them how much your property is worth. Again, a professional broker who is very familiar with the restaurant industry can help with this process. Keep the buyer interested and you have a better chance at a sale than you do with no one at all. Additionally, don’t be completely rigid with your terms. Be open to offers that look different than what you might have anticipated. It takes a certain mindset to want to own a restaurant—and an even smaller set of people have both that mindset and the capital to throw around to buy one. Chances are, when you decided to start or buy your own restaurant, you did a lot of homework, soul searching and research before you took the plunge. Deciding to sell your restaurant is no different. The important thing to remember when selling a restaurant is to go into a potential sale with a plan. Be truthful to yourself about why you’re thinking about selling. Make sure that the restaurant you’re selling is the best one you can afford to put on the market. Honestly appraise the value of your business. Do a little market research to see who might be interested in buying. If the time comes and the price is right, you can make everyone that’s part of the deal glad that they did it. Image “The Crown…” courtesy of Flickr user ell brown licensed under CC by 2.0. All images in post licensed for use under the Creative Commons. Best tips for preparing to Sell Your Restaurant. I have a friend this is thinking about selling their restaurant. I never knew how much was involved in it. It would be essential to look at the location for a restaurant, especially with changing zoning laws.